Organizations seeking to ensure time and labor compliance, schedule optimization/automation, increase engagement and communication with their employees, and gain efficiency utilizing modern WFM. 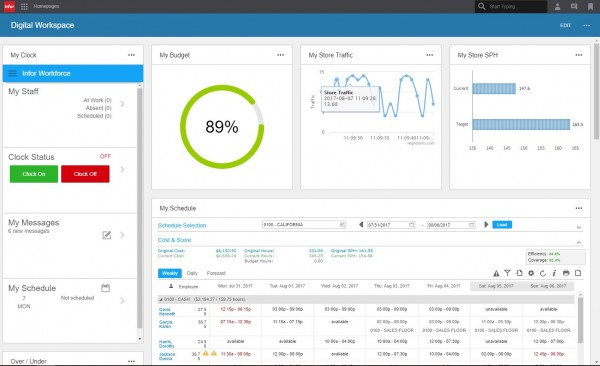 Infor WFM is a comprehensive solution that drives demand planning optimization, the execution of work, and employee performance analytics. With time and attendance, demand-driven scheduling, and absence management, Infor WFM addresses every aspect of labor performance. The purposely-built Infor WFM solution capabilities can properly support your digital workforce needs and address your labor-related challenges to help mitigate the risk of potential compliance errors and reduce cost. 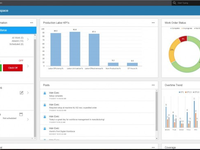 Infor Workforce Management Reviews Recently Reviewed! Pros: The support. Getting a hold of someone to help is easy, the response time is quick, and they can almost always resolve my issue or help with a knowledge gap quickly. The support team is very knowledgeable. Cons: Still catching up on features for a transient, mostly hourly-staffed business. Each upgrade brings a large chunk of new features though, and features we have requested have been seen in later releases. 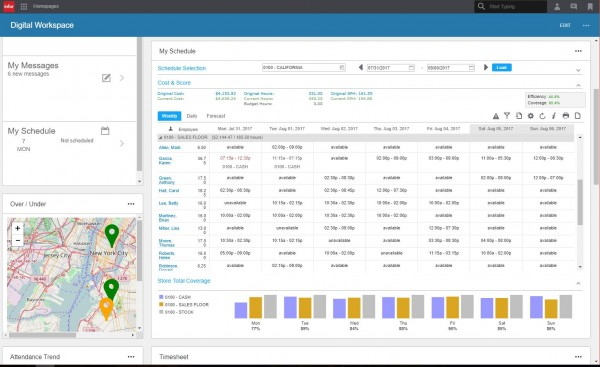 Overall: Visibility into schedules for employees, ability to request time off and manage pto in one system. 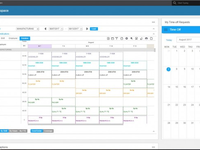 Pros: Timesheets and scheduling are very visual. 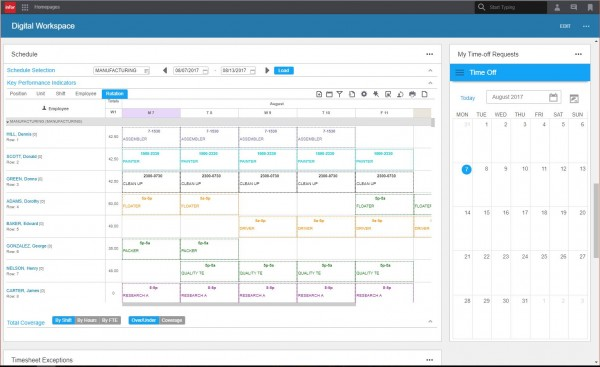 Compared to similar products this one is very easy to visually see what's going on with your employees' schedules and time. Cons: It takes a team to administer, and without the proper internal support it will not work well. This is not the fault of Infor but more an indication of not anticipating the amount of upkeep and ongoing configuration and management this system would need by the customer. Pros: Ability to customize pay rules even for the most complicated union contract provisions.. Configuration changes are easy and can be performed by the business. Base product provides many areas for use. Cons: The need for both IT support along with Business support to maintain. Many steps needed to migrate changes into production environment. 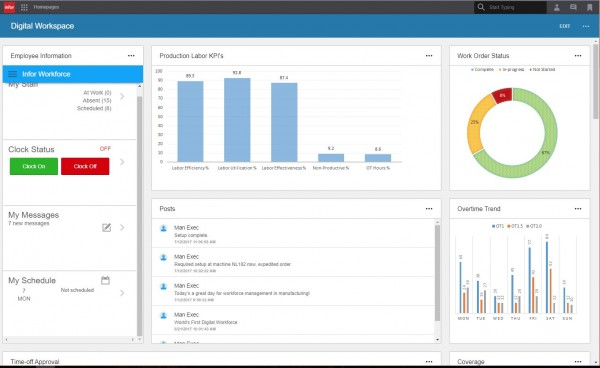 Pros: Infor Workforce Management is robust in functionality. 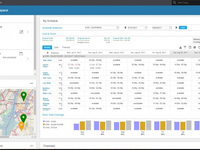 This is a comprehensive planning optimization tool for analytics. The time and attendance allows the user to control and address labor performance to built on a growing portfolio of work. 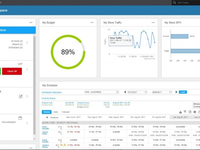 Cons: Upgrades to Infor Workforce Management should be supplied with more documentation and tutorials for the new features. The new features are always great enhancements but the time to properly implement causes a gap in benefits for the new features. Pros: The core product is very flexible and the framework allows for extension to satisfy varying customer requirements across many industry verticals. Cons: No complaints regarding the software. When clients understand the product capabilities, how to configure and extends as applicable to align with their business processes, requirements and operational change, there is guaranteed success. Overall: Very positive. Numerous clients live and satisifed if not extremely happy with the product and more importantly the support and management of it. Pros: I like that it automatically submits paid time off requests when I miss time. Having to submit requests used to stink! Cons: Editing time isn't as fluid as it should be. I should be able to mass edit each day and submit the same time. Pros: Management of employee file electronically. Cons: Switching between employee files once you have one open is cumbersome. You have to basically go back to the home page and restart each time. Overall: Overall, very positive; there are enough options to meet most needs. Comments: With the right information and layout my team has worked a lot more efficiently than they ever had before.